Bob Cox lead a terrific playing career on the Canadian Tour, winning five Canadian championships in 1969 including the CPGA Championship. Cox was a member of Canada’s World Cup team in 1970, representing his country on the world stage. He was inducted into the British Columbia Golf Hall of Fame in 2007 for his accomplishments in Canadian golf and his service as one the country’s top Teaching Professionals. 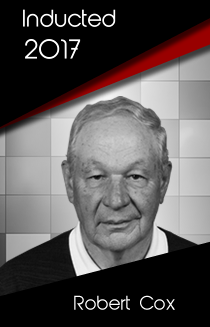 Bob is noted for his stellar playing career in the 1960’s and his commitment to teaching in golf.